A component of our job is to scour the web for new places for you to shop. This can range from under-the-radar boutiques to affordable shops from abroad. That’s why when we came upon the subject of today’s story, New Classics, we were delightfully surprised that this retailer checked off more than one of those boxes. New Classics is a site that values the idea of slow fashion. It cites its reason behind that stance is the negative environmental impact that fast fashion has, primarily in the form of low-quality clothing consumption. 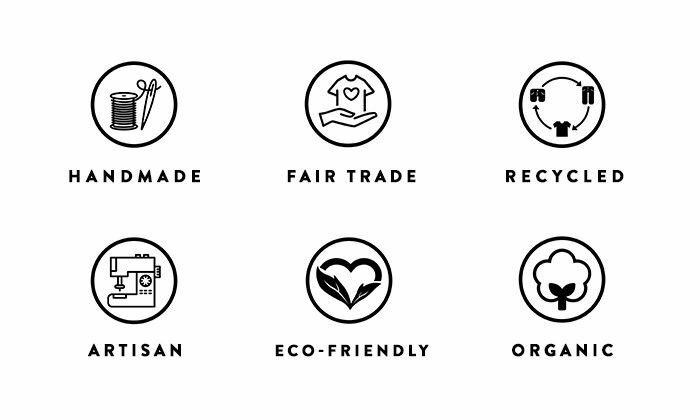 Because of this, New Classics only carries sustainable and fair trade labels that it believes don’t “give up aesthetics for ethics.” We like! See below to read more about New Classics, and then shop our picks from the site when you’re done. Bonus: A ton of them are on sale! New Classics is committed to the slow-fashion movement so much that it's included an extensive and thorough section on the website that explains different facets of the movement, why fast fashion is harmful (in the brand's opinion), and even a handy dandy dictionary of terms to know. Head over to its site for more information, but first, keep going to shop our picks from New Classics! Your top drawer will be so pleased. The perfect dress to get your layer on. Make your denim cutoffs jealous. One less excuse to get your phone out. The sandals every fashion girl adores. Tortoiseshell sunglasses always feel fresh. The slight cropped length keeps these wide-leg pants from looking overwhelming. Upgrade your summer sundress. For fall, layer a pair of leggings underneath. A cold shoulder never looked so good. Everyone needs a non-basic LBD. Try these with a printed silky blouse. The apron neckline on this crop top is quite cool. Wear it inside and outside of the bedroom. For when you're tired of jeans. This tie-front bow instantly updates an otherwise plain dress. A bag that looks more expensive than it is—yes please! Layer a crisp button-down shirt underneath. Your new stylish suit just arrived. Dress it up with big earrings or dress it down with a leather jacket and sneakers.